Save 30% NOW on HemoAde! Save 30% on HemoAde until April 13, 2019. Add up to 6 bottles in your cart and enter code RACER30 at checkout. If you suffer from Arm Pump or just want to improve your overall performance, then HemoAde is for you! As part of the ARM PUMP Elimination System™ HemoAde™ utilizes a proprietary and patent-protected, scientifically validated ingredients that are manufactured in an FDA inspected current Good Manufacturing Practices (cGMP) certified facility. 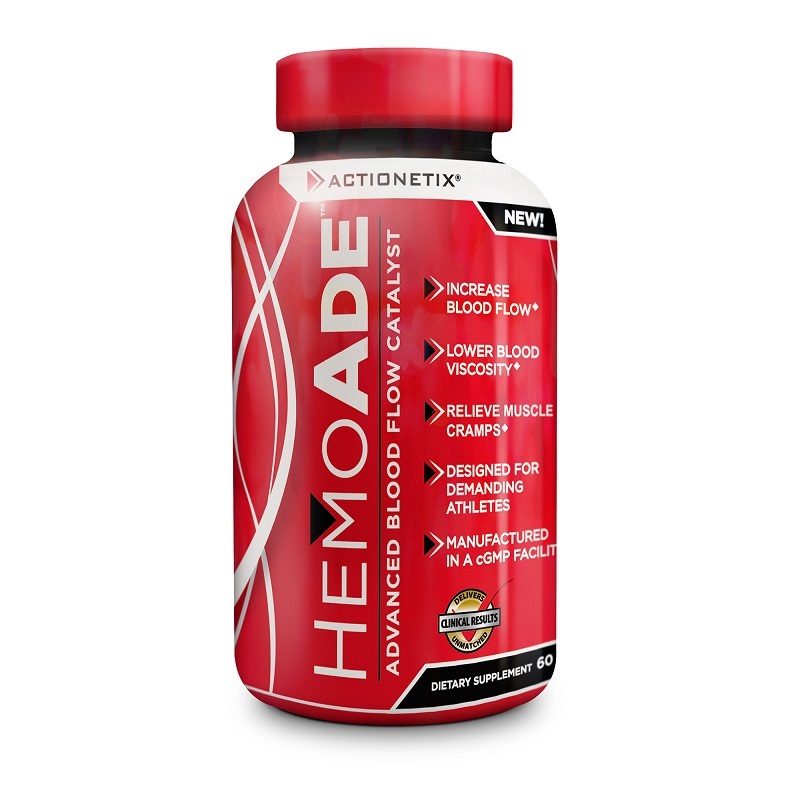 HemoAde starts with quality and efficacy in order to deliver on it’s promise of allowing your blood to flow more easily, relieving muscular cramping and improving performance by helping deliver more nutrients to your hard-working muscles. HemoAde is like nothing on the market today. It’s not a bodybuilder’s supplement, it’s specifically designed for a new breed of Action Sports athletes and their physiological demands. HemoAde is developed to be ultra potent and condensed. In fact HemoAde is so powerful, it only requires two small capsules per day! But don’t get fooled by the small serving size, because we’ve focused in on world-leading, pure ingredients for this unmatched formula. In fact, one of the key ingredients is imported directly from Japan because it cannot be found or replicated anywhere else in the world. This ingredient is incredibly potent and expensive, however we chose to include it because it’s the absolute heart of the HemoAde formula and it comes with strong clinical evidence of efficacy and safety. It has tremendous human clinical research behind it and it is protected by numerous patents worldwide. Using NSK-SD® in the HemoAde formula guarantees potency and purity, which is a priority mandate at ACTIONETIX. If you want to take your training and performance to another level by reducing arm pump, getting rid of dangerous muscular cramps and getting your body to deliver more nutrients to your working muscles, then you don’t want to go another day with HemoAde, the world’s #1 Advanced Blood Flow Catalyst™. Answer: YES. HemoAde works, this is not a scam product or marketing scheme. We’ve developed something that is literally a game changer when it comes to reducing arm pump, controlling muscle cramps and improving nutrient delivery to your hard-working muscles. It’s hard to believe that two little capsules per day can change your physiology in such a dramatic way. The fact of the matter is that science and unsolicited testimonials speak for themselves and with clinically validated NSK-SD® and other key functional ingredients at optimal levels, HemoAde is the ultra-concentrated powerhouse that delivers results. ACTIONETIX is building its foundation on HemoAde and the Research and Development Team has dedicated countless hours and dollars in making HemoAde right. Question: If I only take HemoAde and ride a couple times a week, will I see any benefits in reducing arm pump and improving performance? Answer: YES. HemoAde is designed to work by itself as seen in the clinical studies on the key ingredient and the multiple studies done on the support ingredients. It is truly a world-class performance innovation. You will still have to take it according to label direction to get the best effect. Of course being physically fit and eating a performance-based diet that regulates Vitamin K will advance your position on arm pump, however there are great benefits from simply taking HemoAde on its own. Question: Are there any animal based ingredients in HemoAde? Answer: NO. There are no animal-based ingredients or components in HemoAde. Having years of success building sports supplements that deliver on results, we know that not everyone will use pig or cow gelatin based capsules for instance. This is why we chose to encapsulate HemoAde in vegetarian capsules or ‘Veggie Caps’ as they are referred to. The vegetarian capsule is more expensive, but we believe they are best choice for our customers. Question: How do I take HemoAde? Answer: Simply read and follow the label Directions. DIRECTIONS: Take two Veggie Capsules with a large glass of water before your first meal of the day. Repeat daily whether you are training or not. Read the entire label before use and follow all directions. WARNING: Not intended for use by persons under 18. Do not use if you are pregnant or nursing. Discontinue use and consult a physician if you experience any unusual symptoms. Consult a medical doctor or qualified health care practitioner prior to use if you are using any prescription or over-the-counter medication including blood thinners, or if you have been treated for, diagnosed with or have a family history of any medical condition. 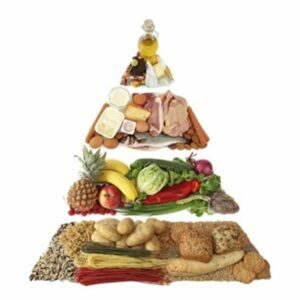 Consult a medical doctor before starting any diet, exercise or supplement program. Do not exceed the recommended serving as improper use of this product will not improve results and is absolutely not advised. Use only as directed. Do not use if the packaging has been tampered with. Store in a cool dry place, avoid excessive heat. Keep out of reach of children. Question: Are there any side effects or interactions that I should be aware of when taking HemoAde? Answer: With any sports supplement, we recommend that you read the entire label and check with a qualified healthcare practitioner before starting to us it. Everyone’s physiology is different and reacts differently to various ingredients. HemoAde does contain a natural form of Aspirin, which can interact with certain medication. Due to the inclusion of Vitamin B3 (Niacin), some people may experience a temporary flush and tingling of the skin. This is generally transient and only lasts a short time. Question: Is there any quality information on training and diet to help eliminate arm pump and improve my performance? A World-Renowned Nutrition Plan to Reduce Arm Pump! Breakthrough Training Principles for Maximum Performance! Information on a Shocking New Scientifically Acclaimed Performance Supplement Revealed! An Immediate Unfair Advantage on Your Competition! NSK-SD® is the real power plant of the HemoAde formula. It is an incredible discovery that is protected by two patents to ensure you are getting the highest quality product and not one of a number of counterfeit knockoffs. NSK-SD® is manufactured in a world leading, state-of-the-art facility in Japan. There have been numerous studies done on NSK-SD® to ensure both efficacy and safety. At ACTIONETIX researched ingredients day and night to find this one-of-a-kind super ingredient to lead the charge against arm pump. The Science behind NSK-SD® is both inspiring and cutting edge. For the science junkies out there: NSK-SD® is produced by the Natto bacteria (bacteria from traditional Japanese food called Natto) and one of the serine protease consisting of 275 amino acid residues with a molecular weight of 27,724. NSK-SD® is fermented using a patented fermentation process and using a patented strain of Bacillus subtilis natto. This is all science speak that simply means that NSK-SD is unique in its form and how it is made – and no other companies can duplicate this. It’s truly the best of the best. This is just the start however. NSK-SD® is the only Nattokinase that has removed the naturally occurring Vitamin K. In fact they have a patent on that specific procedure. So if you use any knockoff Nattokinase… guess what, you’ll be jacking up your vitamin K score and that can spell disaster. One of the key elements that drew me to this specific ingredient was a study done on blood viscosity and flow in human extremities. NSK-SD® was given to four human subjects to see how it would affect red blood cell “clumping” or what the scientific community calls red blood cell aggregation. All four men reduced RBC aggregation by around 50%. That’s a significant reduction in clumping, and a significant increase in your ability to move blood through your body. A second clinical study on two individuals with red blood cell clumping showed a return to normal within one week of treatment with NKS-SD®! 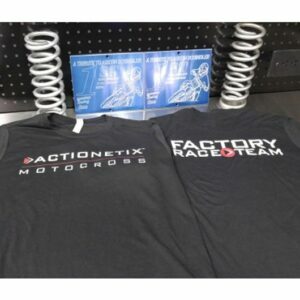 I have placed all of the research links on the website ACTIONETIX.com if you would like to research this further. Now here’s the real breakthrough study – where they measured blood flow in the hands of 15 human subjects. The group that took the NKS-SD saw significant increases in blood flow in their hands and fingers! This is exactly what we need to improve to keep blood from pooling in your forearms. Once we discovered this research we literally said to each other, “Someone’s playing a joke here… this is exactly what we’ve been looking for!” Below, you can actually see some visual results from PeriScan PIM II tests. You can see by the significant change in color in the NSK-SD® group that the increase in blood flow is absolutely dramatic. There is a real reduction in resistance of blood flow in the hands and fingers. This means more blood is getting through this restricted area, and not pooling in your forearms. And this is exactly why we chose to use pure NSK-SD® as the heart of the HemoAde formula and not some cheap generic nattokinase! In a gold standard clinical study using the same amount of NSK-SD® found in HemoAde, subjects experience in increase of blood flow volume through their fingers of over 400% vs. placebo… and these were just average results! Imagine if you experience extraordinary results and allowed more blood through your hands and fingers, decreasing the backup of blood in your forearms! For visual results of the study, please click on the image below to expand it. For years now, doctors have been prescribing low doses of acetylsalicylic acid (ASA), or what is better known as Aspirin. Low-dose Aspirin is commonly used to thin the blood, helping primarily in treatments against strokes and heart attacks. Of course Aspirin is also used as a pain medication as well. The largest downfall with synthetically produced Aspirin however is the fact that is can increase the risk of hemorrhagic strokes and gastrointestinal bleeding (burst blood vessels and stomach bleeding) which of course we absolutely want to avoid. The synthetic form of Aspirin that we so commonly use in today’s society however originated from traditional herbal medicine. Willow Bark and Sparaea have been used for many centuries due to the fact that they contain Salicylic Acid or Salicin as an active ingredient. When you ingest Salicin, your body converts it to salicylic acid, which in turn acts like Aspirin to help thin the blood. White Willow is very well tolerated, showing minimal side effects throughout history. In the HemoAde formula, we are using a precise standardized amount to add to the power of the NKS-SD® in order to keep your blood viscosity down and in turn improve blood flow. Note: If you are allergic to Aspirin, you will most likely be allergic to the White Willow content found in HemoAde. Please check with your doctor before using this product. For literally centuries, Ginger has been used to treat a number of conditions including nausea, inflammation, poor digestion and thickening of blood. In both Ayurvedic (Native Indian) and Chinese traditional medicine Ginger is responsible for half of the prescriptions that are dispensed. Ginger is a natural blood thinner and is noted in traditional medicine to help to prevent strokes, heart attacks and hardening of the arteries. A chemical found in ginger called gingerol appears to inhibit an enzyme that causes cells to clot and thereby reduces platelet aggregation and blood “clumping.” Ginger also helps to slow down the production of cholesterol by the liver and has been known to reverse the increase in triglycerides (fats) and low-density lipoproteins (LDL), thus helping to improve heart and cardiovascular health. In HemoAde, we’ve added a very specific amount of 5:1 extracted ginger, giving you the perfect compliment in the entire HemoAde formula. Cramp Bark is an ingredient that has been used in the past in a select number of nutritional supplements. The name pretty much says it all… Cramp Bark is an anti cramping herb. Initial research on Cramp Bark shows that this herb was traditionally by women, however it is becoming increasingly common for men to use it as well, due to more and more people getting anti-cramping results in their skeletal muscles. It’s a powerful weapon in the defense of muscle cramps while you’re training or racing, particularly in high temperatures. Even though the anti-cramping is a real benefit to Cramp Bark, we are also keenly interested in how it helps relax ‘smooth muscle’. This is the kind of muscle that surrounds your veins and arteries. By releasing some of the pressure that the smooth muscle places on your vascular system, physics would say that your blood would flow far more easily. Add this to the fact that your blood is less viscous due to the NKS-SD®, Ginger and White Willow, and you have a winning combination in the fight against arm pump and cramping. Buyers beware! As with all herbs, they can vary dramatically in potency and purity. 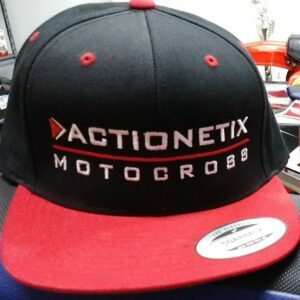 The ACTIONETIX Research and Development Team has been working with this herb for years now and know the top suppliers in the world. This is important because you only want a specific amount of Cramp Bark at a 10:1 extract in your formula. We only use the best sources available so you’re getting exactly what you need in HemoAde. Resveratrol has been the wonder ingredient, particularly as it applies to cardiovascular health including decreasing the viscosity of the blood, inhibition of platelet aggregation, stimulation of endothelial nitric oxide synthase (eNOS) and inhibition of vascular smooth muscle cell proliferation. To summarize, studies show ability for resveratrol to play a key role in the overall formula of HemoAde. Adding to the performance benefits of proper blood viscosity and vascular flow principals, resveratrol further establishes HemoAde as arguably the greatest performance breakthrough of this century. Niacin is one of the 8 B Vitamins and is commonly known as Vitamin B3. It is an essential, water-soluble vitamin (does not get stored in your fat cells) so it needs to be ingested on a regular basis to perform some very key roles in your body. First, it is critical in the processing of carbohydrates – a key fuel source in training and racing. However, what we are really focused on is Niacin’s ability to help dilate blood vessels which increases blood flow. People have used high doses of Niacin for years to improve blood flow. A known reaction in some people that take Niacin is flushing of the skin and dilation of small, surface-level blood vessels. For people who take high doses some side effects may include an itchy, tingly niacin flush that lasts a few minutes. In others, there is no effect of this nature. Note: Niacin is a moderate-dose support ingredient in the HemoAde formula and for the most part should be well tolerated for the most users. If you do not experience the flush be assured it is still working. Vitamin B12 is a very important and powerful ingredient in the HemoAde formula. B12 is a critical factor in the production of red blood cells (RBC). Since red blood cells carry oxygen to the working muscles it is very important that that the RBCs are working in an optimal capacity. Delivering oxygen efficiently to the working muscles will allow less stress on the cardiovascular system, which will in turn allow blood to flow more easily. Vitamin B12 helps to create the DNA needed for cell division, especially in cells that are rapidly dividing such as red blood cells in your bone marrow. Without sufficient DNA, the cells could not divide properly and red blood cell production would be slowed and/or abnormal blood cells known as megaloblasts will form (large, ineffective red blood cells that conform to a certain type of anemia). Vitamin B12 is also essential to the nervous system because it helps the body create a protein known as myelin that covers and protects nerves from damage. Without a strong myelin covering, your nervous system can be vulnerable to damage. Since nerve impulses are the signals that tell your muscles to fire and contract, optimal nerve function becomes an added benefit of the HemoAde Formula. Vitamin B6, like B12 is a very important aspect of the HemoAde formula. Working in conjunction with Vitamin B12, B6 increases the ability of the body to produce heme and for oxygen to bind with hemoglobin (which attaches oxygen to the RBCs to be delivered to your working muscles). Together with Vitamin B12, B6 helps to ensure you are as efficient and effective as possible in delivering oxygen to your muscles. This will in turn lighten the load on your cardiovascular system so that blood keeps moving freely through your body. In the Nutrition chapter of the Arm Pump Elimination System book, we speak about the importance of Vitamin C in hard training athletes. Vitamin C performs many critical functions in your body that are related to performance and is a powerful anti-oxidant that absorbs free radicals before they can invoke cellular damage. Free radicals are a byproduct of physical activity. The more activity you do, the more free radicals you produce. It is also a very important ingredient for your body to produce collagen, which is found in muscle and joints. As a result, it is essential for joint health. Finally it is needed for normal blood clotting. Vitamin C is the perfect athlete’s vitamin, and due to it being a water soluble vitamin it is critical that it be ingested daily. So now you know the secrets behind the cutting-edge scientific HemoAde formula. Its number one benefit is that will decrease your blood’s viscosity and allow more blood flow through your body with a key clinical focus on your extremities. NSK-SD® is truly the heart and soul of the formula and has extensive research on both safety and efficacy. When you combine this with a precisely balanced group of effective support ingredients in specific ratios, we believe we have created a revolutionary product to help relieve arm pump, decrease muscular cramping and dramatically improve performance in training and competition. The benefits of HemoAde go well beyond solving arm pump. However, by putting your body in a state of effective and efficient blood flow – arm pump can become a thing of the past. This truly is a one-of-a-kind supplement that cannot be replicated due to its proprietary, patent-protected formula.